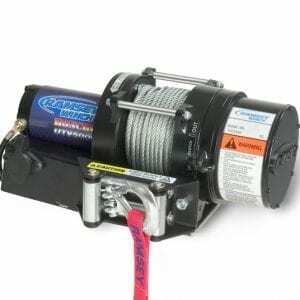 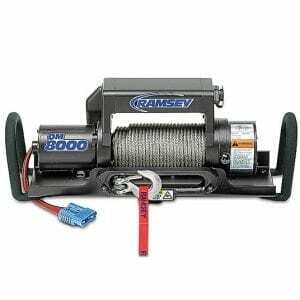 Ramsey Winch offers trail-tough, field-proven Electric Planetary Winches for the consumer offroad and self-recovery markets in size ranges from 2,500 lbs. 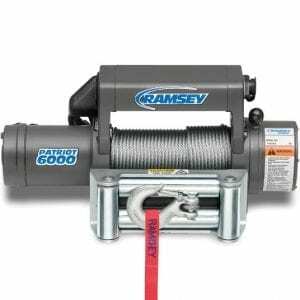 to 15,000. 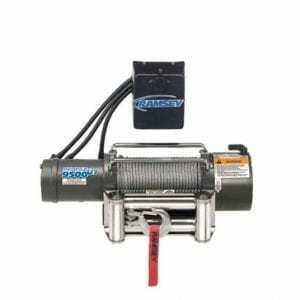 The high efficiency three-stage planetary gear set conserves motor energy and reduces motor strain. 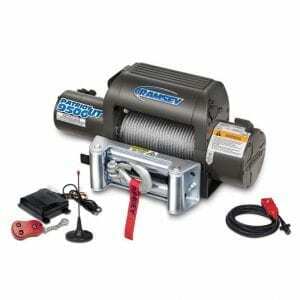 Many models feature a high-torque 12 and 24 V DC series wound electric reversible motor for increased pulling power. 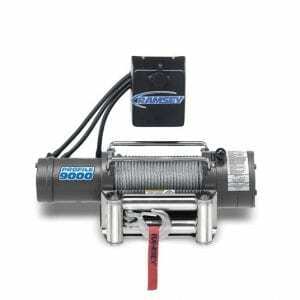 Our Electric Planetary Winches are available in configurations with solenoid over drum or as “Profile Design” which allows the winch to be installed in tighter spaces with a remotely mounted solenoid pack. 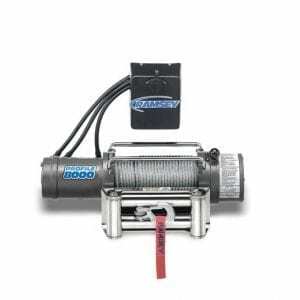 As a safety feature for the operator, the brake will automatically engage when the solenoid is inactive. 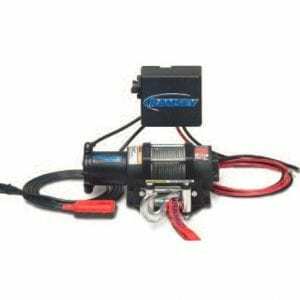 Optional wireless remote operation saves time and allows the operator to monitor the recovery or winching operation from a different perspective. 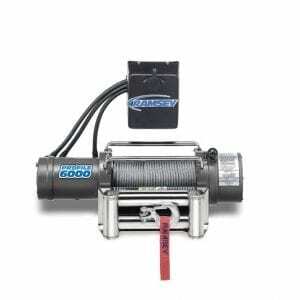 • Cam action clutch disengages planetary gear system for free spooling on most models. 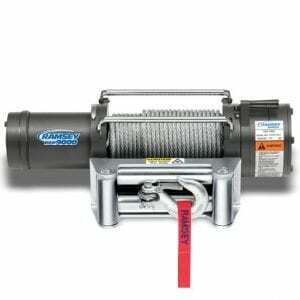 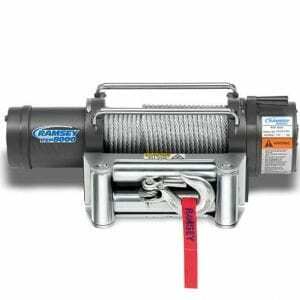 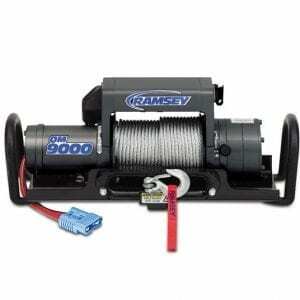 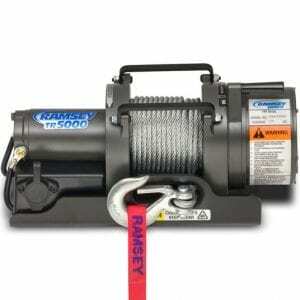 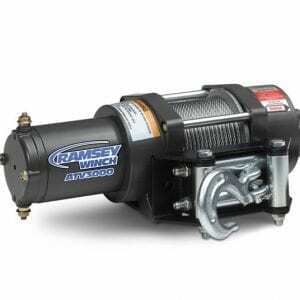 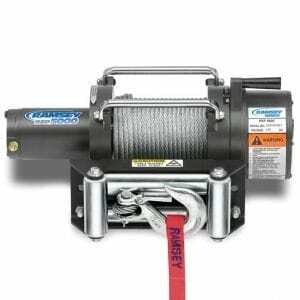 The Ramsey Winch Patriot 15,000 features a spring-loaded pull and rotate clutch design. 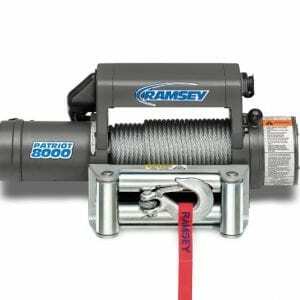 The Ramsey Winch Patriot 9500UT is equipped with a convenient, time-saving patent-pending semi-automatic clutch. 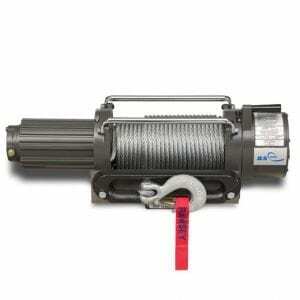 • Winches feature either a 12 ft. wire pendant remote or the patent-pending wireless remote. 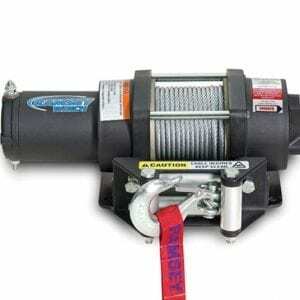 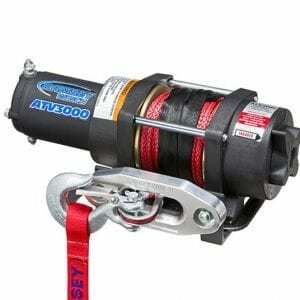 Badger series winches are available with an easy-to-operate motor control switch or 12 ft. wire pendant remote.